Tyra Banks was the first to introduce reality TV to the modeling game, with her hit show “Americas Next Top Model“. Now there is a new hit reality show that showcases a side of the modeling industry that you don’t really get to see, the plus size side. The show “Curvy Girls” on NuvoTV explores and showcases the lives of 6 plus size models and the unique industry they work in. With the average American woman being a size 12, we can see why this show is such a hit! 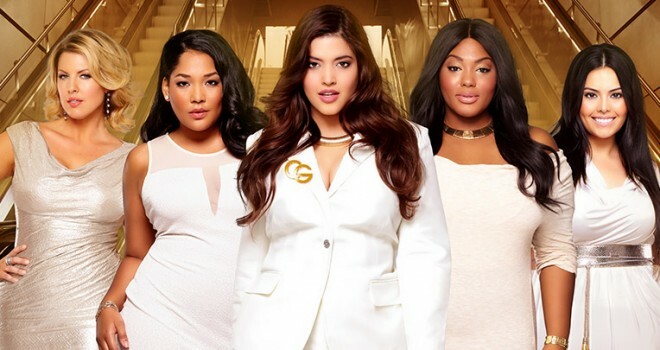 Back for its second season, Curvy Girls is bringing a whole lot more sass, and deeper story lines about it’s cast. Cast member Ivory Kalber opens up about her past body image insecurities in this new season. She also shares her thoughts on feeling beautiful at any size. Rosie, another plus model on the show explains that wight loss has always been a struggle for her. She is 340 pounds and is ready to work hard to get the weight off. Stay tuned to NuvoTV to see these women go after their dreams in an industry that is based on physicality. Do you feel beauty has a size?